Crappy coloring job. 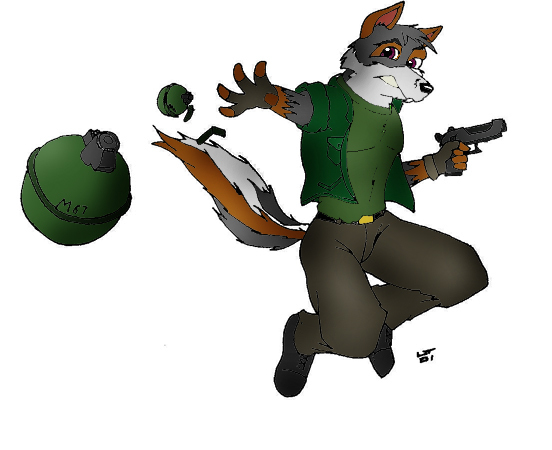 \r\nThis is one of my oldest characters, Alec. A well-trained soldier turned bounty hunter. 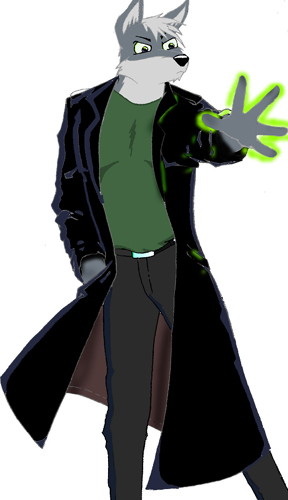 He posesses a rare psychic talent: Electrokenisis, The ability to create and control electricity. 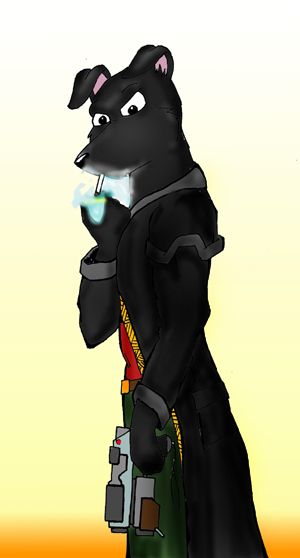 Unfortunately, Alec smokes more than cancerman from the X-files, and he only really uses his electrokenisis for lighting marlboro's..
Just a nameless, random Vixen in a cute miniskirt. 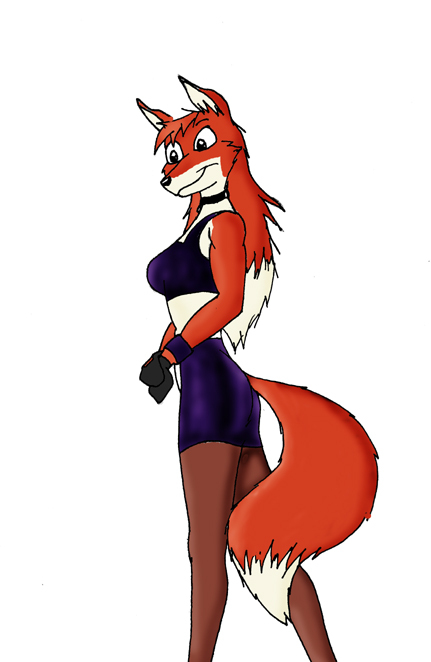 A medieval/ fantasy canine femme. For as old as it is, I think this is a pretty good picture. An un-named canine cheerleader femme. Although this is a bit of a departure from my regular style, I like the way this picture turned out. The duality of our personalities, the constant battle between light and dark. I thought this was a good way to show the struggle. Another Pimpernel costume picture. Just a different, more flamboyant pose. 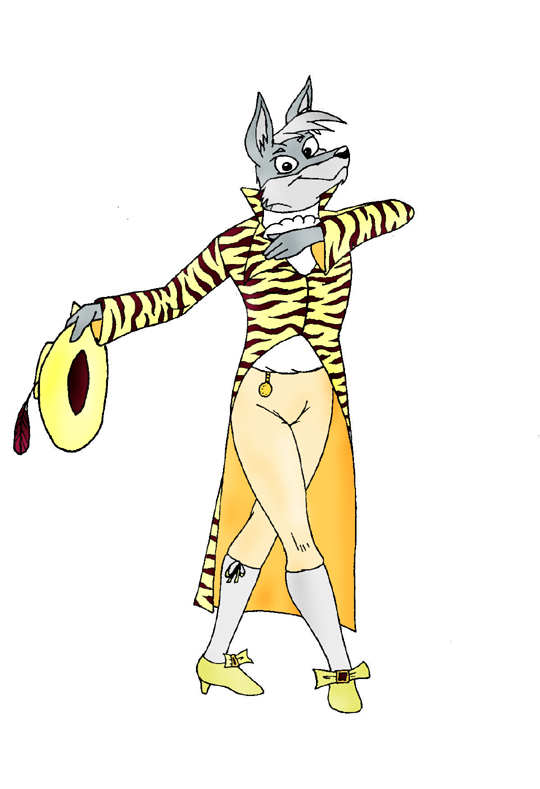 Azelin wearing Percys costume from the musical "The Scarlet Pimpernel". 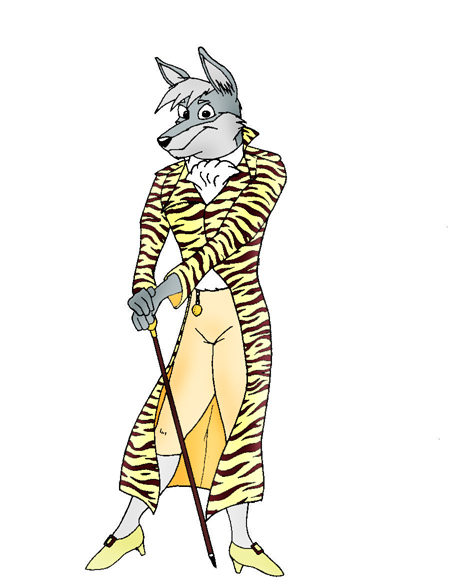 I don't know, something about that tiger-stripe walking coat is just cool. 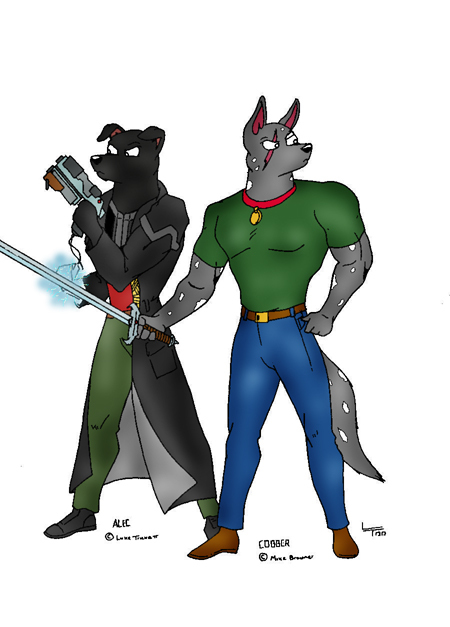 Alec, another of my characters, with a friends character. This one turned out a lot better than my usual PS coloring attempts. 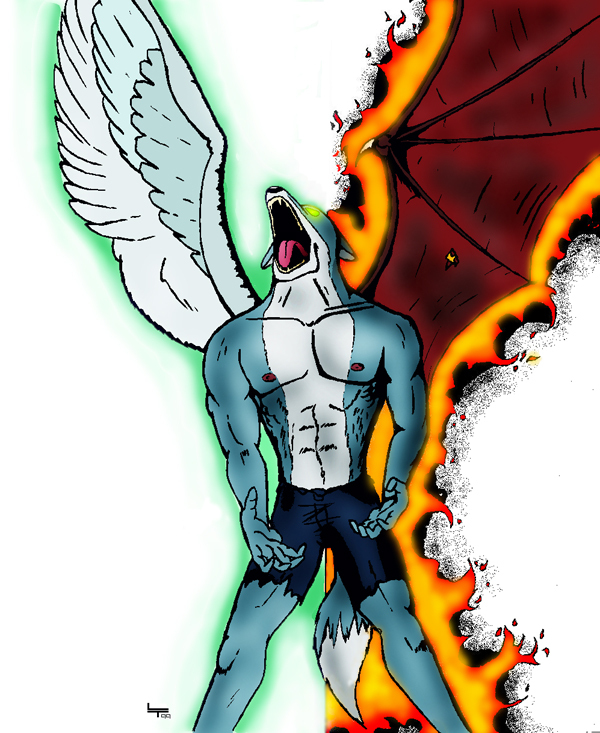 Part of an art trade I did with a friend of mine. Nothing spectacular here, just an experimental action pose.